Our team was also well-represented in the speaker line-up, contributing to thought leadership in the #RaceToZero. 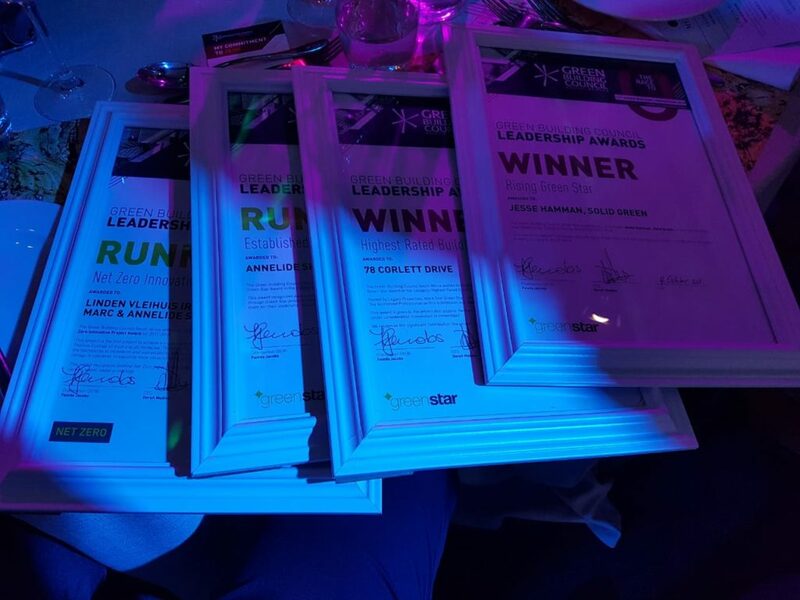 At the Awards, South Africa’s top-rated Green Star projects were announced, with Solid Green as the accredited professional on 78 Corlett Drive (owned by Legaro Properties), which received a Net Zero Carbon Pilot Rating at the end of November 2017 and won the Highest Rated Building category; and Linden Vleihuis in Johannesburg (owned by Marc Sherratt Sustainability Architects), which was the runner-up in the Net Zero Innovative Project Award. 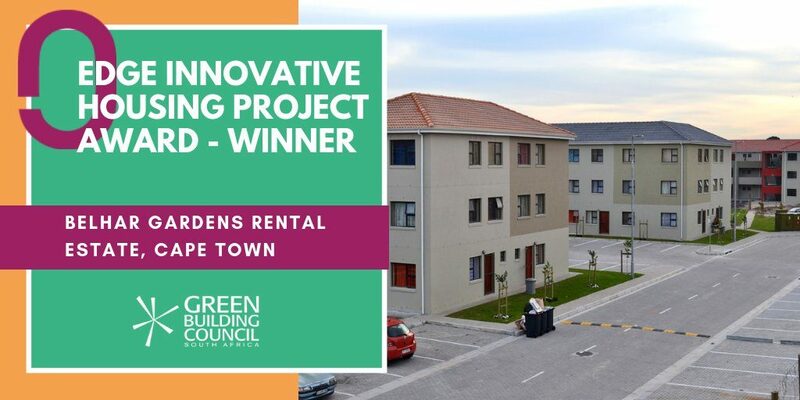 Solid Green was also EDGE Auditor on Belhar Gardens Rental Estate (owned by the Madulammoho Housing Association), which won the EDGE Innovative Housing Project Award. 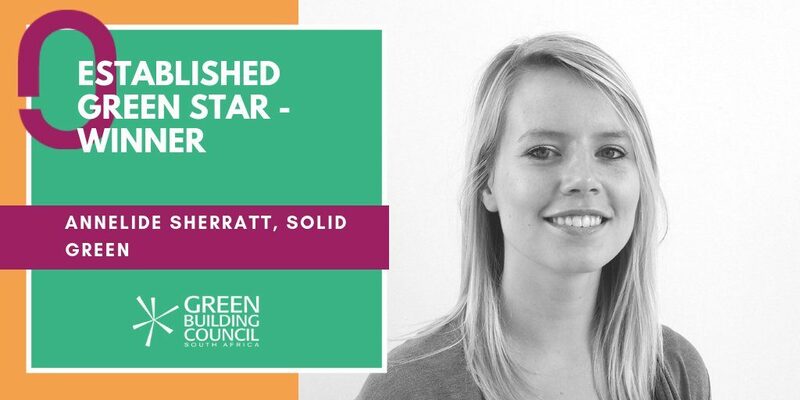 We are especially proud of two of the dedicated, powerful women in our team who brought home Green Building Council Leadership Awards – Annelide Sherratt, who was named Established Green Star Runner-up, and Jesse Hamman, who is the Rising Green Star Winner! We participated in kicking off the Green Building Convention on 3 October with Chilufya Lombe talking about Net Zero Energy in the #RaceToZero as part of the Green Café, which was facilitated by the Green Building Design Group’s (GreenBDG) Songo Didiza and C40 Cities’ Paul Cartwright. This year’s conference conveyed a noticeable change in the way we are approaching climate change in South Africa,” says Lombe. “The idea of reversing effects rather than building ‘less bad’ was discussed several times. A number of consultants and clients seem up for the challenge, and hopefully there will be more success stories for the next conference. 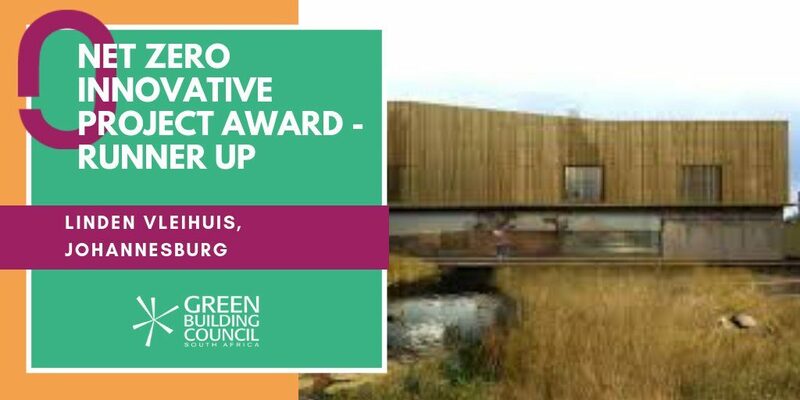 Lombe presented together with Marloes Reinink on 5 October with ‘A Bird’s Eye View on Using the Scale of a Precinct to Contribute to Net Zero’. The session offered delegates access to the expertise of those who are leading the way with Sustainable Precincts; and demonstrated how tackling site-wide issues related to the overall urban plan, rather than just those of specific buildings, enables a broader approach and makes a significant contribution towards achieving Net Zero. The 2018 convention exceeded expectations once again, from a super-inspiring talk by Paul Hawken, who presented a list of actions to be taken towards combating climate change, to a closing presentation on the Bullit Centre, a Living Building Challenge project. The convention this year had a great mix of international and local speakers, and it was encouraging to see such good attendance from the sector. “It was an engaging and inspirational convention,” Dash Coville observes. Presentations ranged from international case studies on new housing designs to deal with the high cost of housing in Hong Kong to creating vertical forests in new commercial buildings; and included discussions around what is happening in South Africa from government and commercial perspectives. 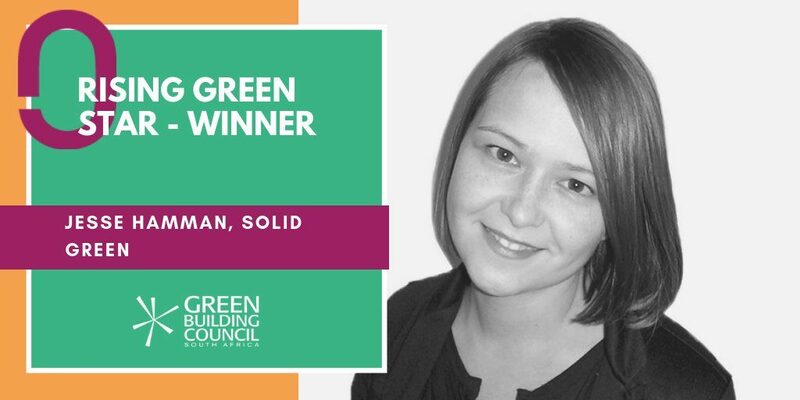 The convention is always a good time to catch up with friends in the industry and gain insights into trends and challenges that are featuring in the Green Building movement from around the world. The speaker line-up provided engaging and thought-provoking content and the break-away sessions enabled a more personal interaction with speakers. 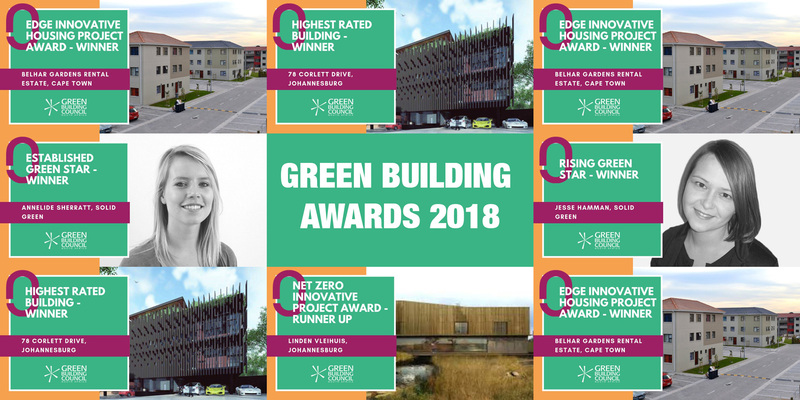 “It was incredible to see that our projects are leading by example in the Race towards Net Zero,” comments Annelide Sherratt. We were excited to have both 78 Corlett and Linden Vleihuis presented as case studies by their respective project architects in the session ‘Positioning the business case for Net Zero: new building projects’. Another highlight was when Paul Hawken introduced his book ‘Drawdown’ which announced Project Drawdown: the most comprehensive plan ever proposed to reverse global warming. We are thrilled to be one of the first South African project teams to take these steps towards reversing global warming. 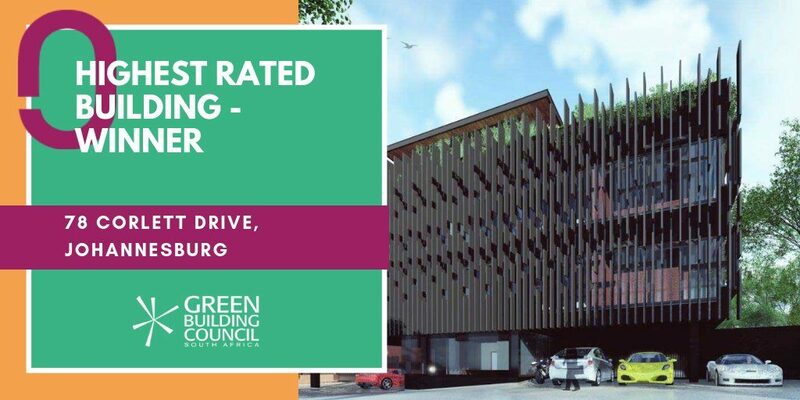 We are tremendously proud of the excellent contribution that our team is making towards taking the #RaceToZero further and are looking forward to participating again at the Green Building Convention 2019.